A recent study by the Bureau of Labor Statistics revealed Americans spend 8.8 hours per day on work or work-related projects. Besides the standard workplace amenities like workstation, leadership, and culture, what else does the workforce need for productivity and satisfaction? Food! And, high quality, easily accessible food available through the likes of a micro market. With that tireless workforce in mind, our company recently unveiled a new brand of fresh food called EATS - Enjoyable And Tasty Selections. Read on to see what went into this initiative. Bernick’s made a big commitment to the micro market segment of the business and we began with a rebrand of the local, fresh items we stock micro markets and some vending machines with. Up until 2017, the food items remained largely unchanged under the Rachel’s Recipe brand for more than a decade. It was time for a revamp. 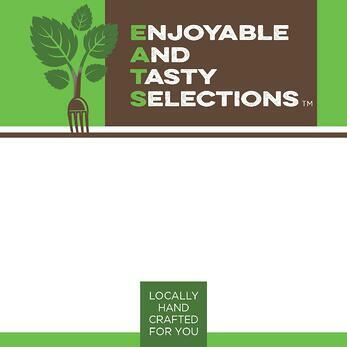 Our marketing team hosted an internal competition to concept the new EATS brand. We have five graphic designers and the majority of what they focus on is beverage-based, like Pepsi and beer initiatives and projects. It was fun to unleash a little flexibility and creativity on a new line of business, so to speak. It was a whole rebranding program led by our marketing team. From the initial acronym being selected to an entirely new product development process – including packaging and flavors – we kept our key target demographics in mind. Aligning our offerings with what the marketplace is looking for was integral for the rebrand. We wanted to focus on the end result: consumer satisfaction and engagement. We hosted a few product launches with private tastings for feedback and discussion before we introduced the line to customers. The amped-up image of EATS fits better within the overall micro market brand. It’s more cohesive, tying the experience together much like a deli or intimate sandwich shop. Our local culinary partner is Custom Catering by Short Stop from St. Cloud, MN. We have sandwiches and items crafted fresh for us five days a week. Each month, we collaborate on three new items to introduce to consumers. Brand new items that will drive engagement and increase brand loyalty – and keep micro markets and vending machines a destination for people. Throughout development, we tried to be conscientious of our price points too, which is a precarious balance. We tested different buns with different ounces of protein to determine the sweet spot – when you cut into a sandwich; the ratios and portions have to be just right. We placed emphasis on every item’s quality. We source local ingredients whenever possible, including meats and breads. Power Packs - a snackable variety of hard-boiled eggs, fruit, cheese, peanut butter, and whole-grain snack bread. If you haven't tried any of the new EATS-labeled items, look for the branding next time you're hungry. If you're looking for a micro market partner or more solutions for your vending machines, connect with our team.